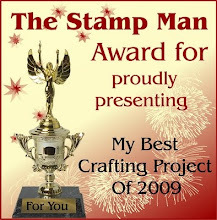 The Stamp Man: The Stamp Man wished he was 'ere again, but he wasn't!!! 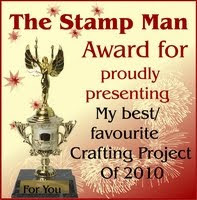 The Stamp Man wished he was 'ere again, but he wasn't!!! The last time we went 'further' up north to the 2nd of our shows this year, back in January, with Ross Papercraft, we had a bit of a bad day getting there. We don't leave anything on the van overnight so the intention was to load up as usual before we set off. Well, the final packing and loading up didn't go as smoothly and hassle free as normal and it was a REALLY, REALLY windy day. Anyway, the journey for this trip up the A1 was pretty hairy due to the wind which seemed to get even worse the further we went. We got there, unloaded and set up ready for the show the next day etc but, when we came out to set off to the hotel, the wind wrenched the driver's door back, then a huge gate blew into the other door, slamming it shut. The gate just missed Ian's back otherwise it could have been even worse! We decided to try and find somewhere to eat on the way to the hotel but couldn't find anywhere for something like fish and chips, (and Ian's doesn't eat spicy takeaways), we found nothing. So we were cold, tired, hungry and just a little bit fed up. The kitchen of the restaurant next door to the hotel had closed for the night so when we checked in Ian asked if there was anywhere to get something to eat at that time. The lady whispered that she had a number so we could get a Pizza delivered, Ian doesn't eat Pizza either but food is food so he replied that he'd hoped to get fish and chips but pizza would be fine. Fish and chips turned out to be an option for delivery too so that was brilliant. They were lovely fish and chips with the fish packed separately so it was still nice and crispy. Normally we stay in hotels and the lighting is terrible to read with, but I just had to take this photo of a very contented Ian, full on fish and chips sat in a comfy armchair with a light shining down on his newpaper. What more could a man ask for eh? There were a couple of steps up to his little reading alcove and it was so funny seeing him sitting up there. All this for a bargain price room of £10 too!! Well, that's my lunch break over, it's back to getting ready for the Harrogate show this weekend! He looks like he's sat on his throne, Jill. What more could a man want, fish and chips and a comfy room all for £10. Bargain, especially after such a lousy day. I'm glad it finished on a high. 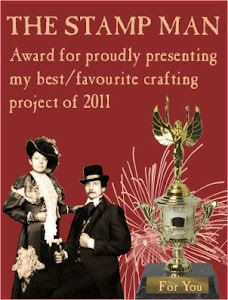 New Challenge - Vintage Theme - Part one! 20% off sale ends this evening!